I am writing to you in regards to outrageous articles in other magazines that have been printed about the lifestyle of inmates here at FCI Danbury. The most recent article insists that lesbian gangs await Martha Stewart, guards who enjoy voyeurism, maggots in the food, etc. -- and states we are "love starved". The majority of us are non-violent offenders, doing draconian time because of the War on Drugs. Many of us have only hopes and dreams of laws changing to receive relief. It's upsetting that we are seen as "love starved". Yes we are loved starved, for our families. Please inform the public of the "real deal" here at FCI Danbury. There is no physical abuse, constant danger, or vicious gangs. Only women who desperately miss their children, husbands, and parents. 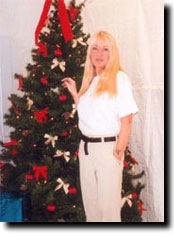 Martha Stewart is not the only one who will be out of her element in prison; we all are.